George Dillman is a 9th degree Black Belt in Ryukyu Kempo Tomari-te who was honored by Black Belt Magazine as “1997 — Instructor of the Year”. He is one of the USA’s best-known and well-established martial arts personalities. 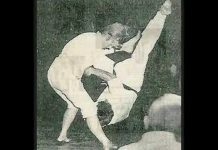 Dillman began competing in the early 1960’s and came to the attention of the martial arts press at this time. By the middle of that decade, he started running his own tournament, the Northeast Open Karate Championships. This annual competition first kicked off in Palmer Park, Maryland in 1966. The tournament site was moved to Suitland, Maryland in 1967, and moved again to Reading, Pennsylvania in 1968 where it was held until 1996. 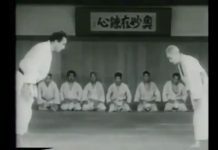 Official Karate magazine (Nov. 1982) described Dillman as “one of the winningest competitors karate has ever known.” Dillman was four-times National Karate Champion (1969-1972) and during this period was consistently ranked among the top ten competitors in the nation by major karate magazines. During his nine-year competitive career, Dillman claimed a total of 327 trophies in fighting, forms, breaking and weapons. 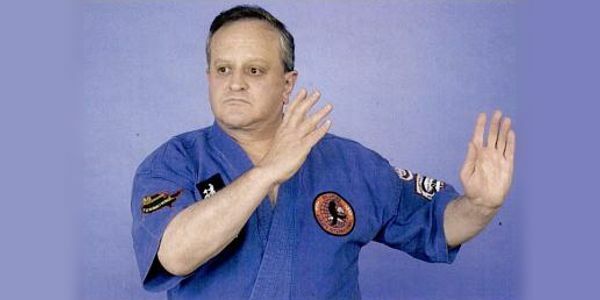 George Dillman began serious martial arts training in 1961 with Harry G. Smith. He went on to study with Daniel K. Pai, James Coffman, Sam Pearson, Robert Trias and Seiyu Oyata. Dillman has always considered himself a student, never a master of the martial arts. 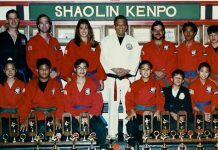 To this end he and his wife and students have traveled throughout the United States to meet and train with various martial arts experts. Because of his perseverance, George Dillman’s martial arts talents have earned him widespread U.S. media coverage. He has appeared on 35 national TV shows, including: Real People, Mike Douglas, PM Magazine, Evening Magazine, and NBC’s Sports Machine. Dillman has also been featured five times in Ripley’s Believe It or Not, and has been the subject of over 300 newspaper and magazine articles. 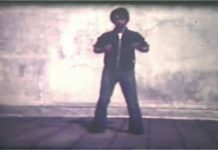 Dillman, who was a professional boxer for three and one half years, is the only person known to have trained with both Bruce Lee and Muhammad Ali. In May of 1988, Dillman was inducted into the Berks County Sports Hall of Fame. 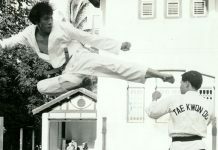 He was the first martial artist to be included. George Dillman is the chief instructor for Dillman Karate International, an organization of over 85 schools worldwide, with an enrollment of nearly 15,000 students. 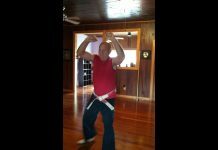 He has studied under five 10th degree black belts from Okinawa and is currently furthering his personal study through research, practice, and the sharing of techniques with Professor Remy Presas (Modern Arnis) and Professor Wally Jay (Small Circle Jujitsu).